Place your order, I will be in touch with you within 2 business days to confirm your order, your delivery address, preferred packaging colour and details, the total amount payable and payment options for your piece. Please allow additional time for orders around Mother’s Day, Father’s Day and Christmas. Once your payment is received in full by either an EFT to my bank account or a Credit Card payment over the phone, I will confirm with you any spelling and the order in which you want names, dates etc stamped. Your Love Letters piece will be hand cut, hand stamped, blackened if desired, polished and put together with your chosen necklace, bracelet, cufflink backs or key chain. Some pieces require soldering and will be taken to James Threadgold Jewellers to complete this part of the process. I will package your product in your chosen packaging colour and gift wrap if required and be in touch with you to give you tracking information and let you know that your jewellery is on its way to you. 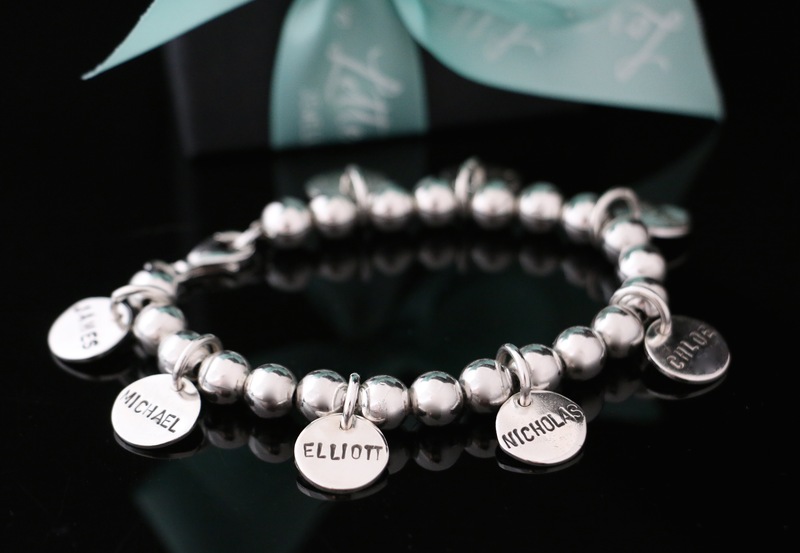 My exclusive range of necklaces, bracelets, cufflinks and key rings are all classic timeless designs beautifully enhanced and complimented by handcrafted sterling silver charms that tell your story and celebrate family, friendships, love, devotion and connectivity. Each Love Letters charm is a unique “one off” piece made to order using age old artisan jewellery techniques, each letter is individually hammered into the metal personally by me therefore there will always be small differences in letter depth, alignment and spacing, no piece is ever “perfect” each has its own unique and subtle imperfections which add unique character and an authenticity to each of my pieces. 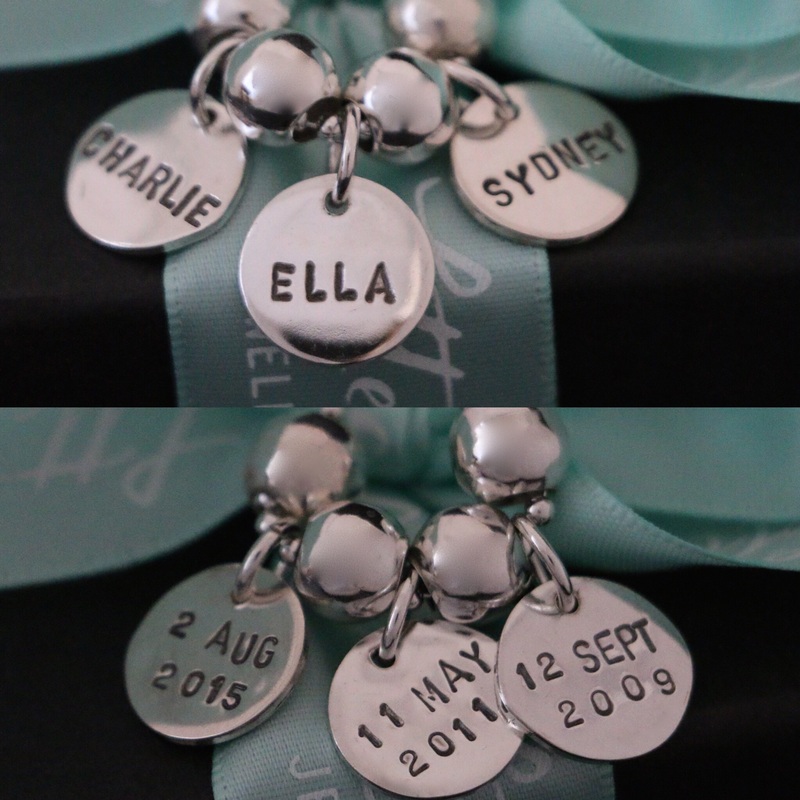 Names, initials, dates, affirmations and special messages or sentiments can all be hand stamped on both sides of each Love Letters charm. My pieces come beautifully packaged in your choice of either a black or white box with my signature seafoam green ribbons and a complimentary pre-treated silver cleaning cloth. Gift bags and tags to match are also available for purchase. Mark an occasion, a milestone, anniversary or birthday with a truly personal sentimental piece of jewellery or add to an existing piece at any time. I have been privileged to create many personal pieces all with a beautiful, some times sad but mostly happy story behind them, the overwhelming and wonderful thing is that each piece is given and received with Love. Love Letters Jewellery – Celebrating Beautiful Stories. 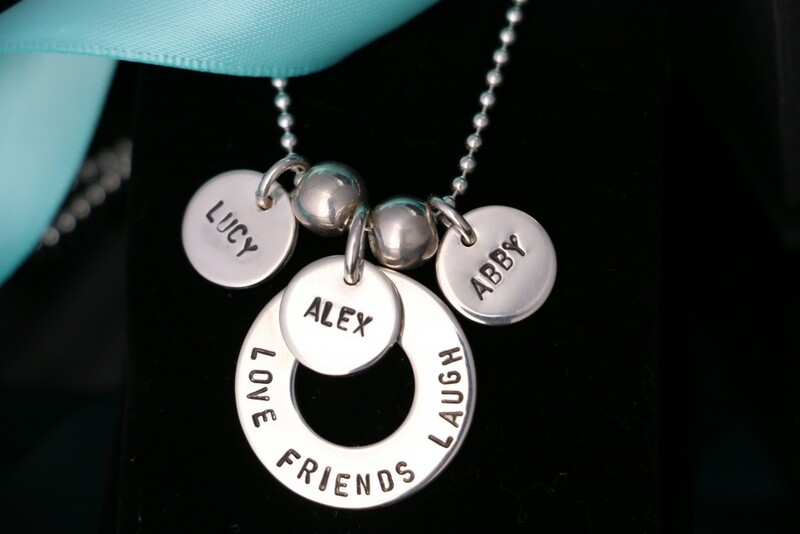 Hand Stamped Charms are made by hammering small stamps, letter by letter into each charm, embossing the character into the metal by hand. No machinery is involved in the process and therefore no two pieces are ever the same. They all have their own unique character and charm. 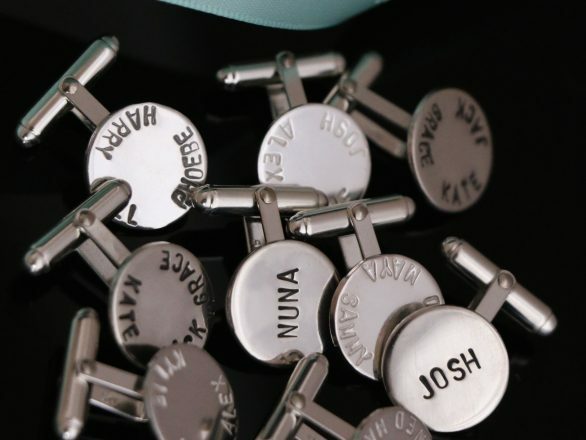 Your own selection of names, initials, dates, affirmations and special messages or sentiments can all be hand stamped on both sides of each Love Letters charm. I also have a limited range of symbol stamps including a love heart, angel and fleur de le to add to your piece if required. 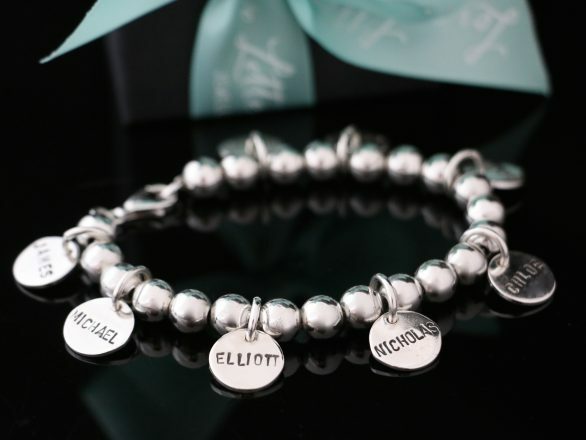 Mark an occasion, a milestone, anniversary or birthday with a truly sentimental keepsake piece of jewellery or add to an existing piece of Love Letters Jewellery to celebrate or commemorate an occasion or a loved one at any time. I am very passionate about my work and take great care with my products only sourcing the highest quality jewellery and silver components for my exclusive range. 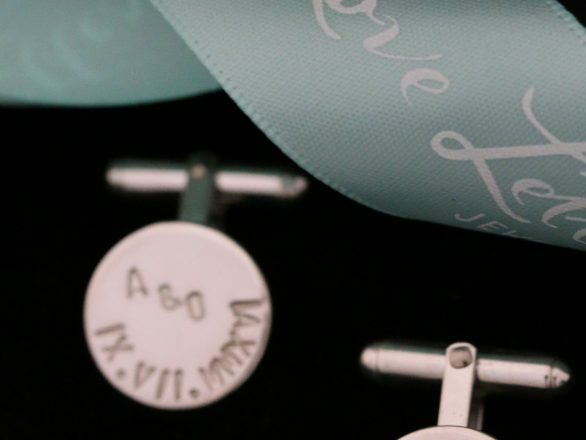 All Love Letters pieces are very low maintenance and do come with a complimentary specially treated cotton silver cleaning cloth to easily restore their shine and sparkle. I highly recommend regular polishing your jewellery with this silver cloth to keep your piece looking at it’s best. 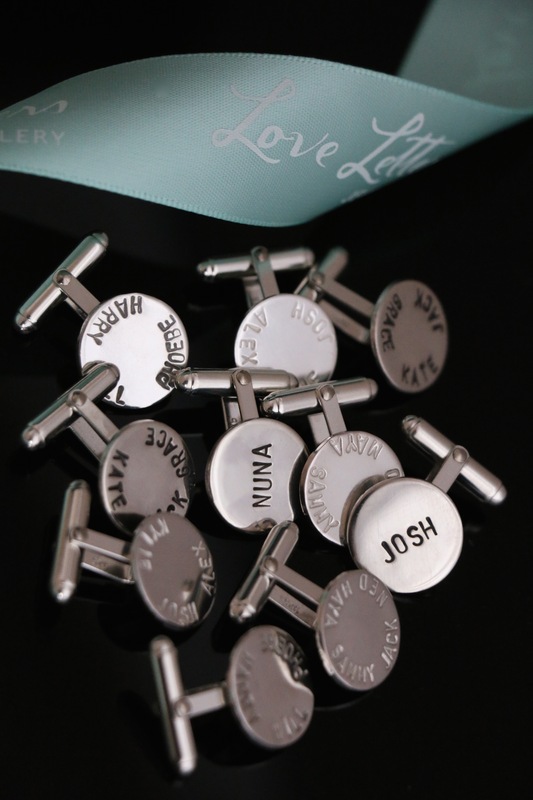 You can also return your Love Letters Jewellery to me for re-polishing and re-blacken of the lettering if required. 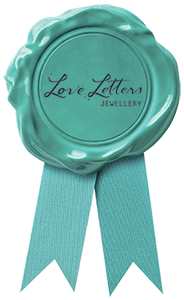 Every Love Letters piece of jewellery comes beautifully packaged in your choice of either a black or white box & matching satin bag with my signature teal ribbon. Gift bags with matching ribbon and a beautiful gift tag are also available for an additional $5.00. Share the Love. My gift certificates come beautifully presented printed on premium paper wrapped in a designer pouch with signature Love Letters ribbons. 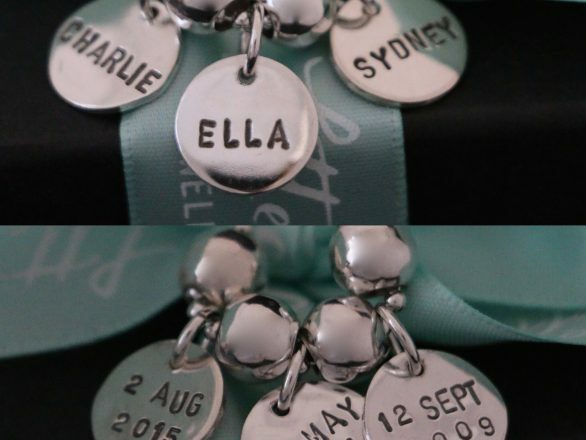 Many customers have had and worn a Love Letters piece for some time and with the arrival of a new edition to the family, a new pet or sadly a loss in the family like to add charms to their existing piece. 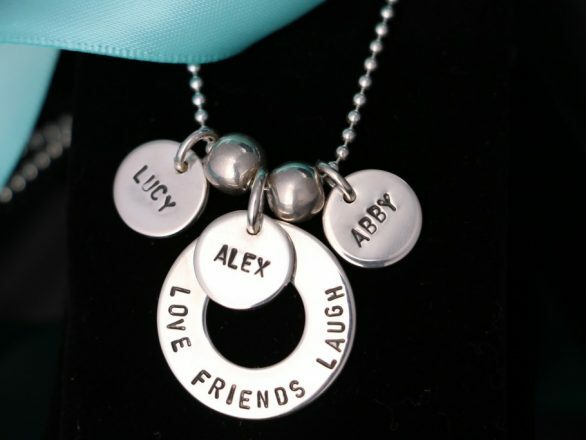 Please get in touch with me about charms to match or compliment your existing Love Letters piece. 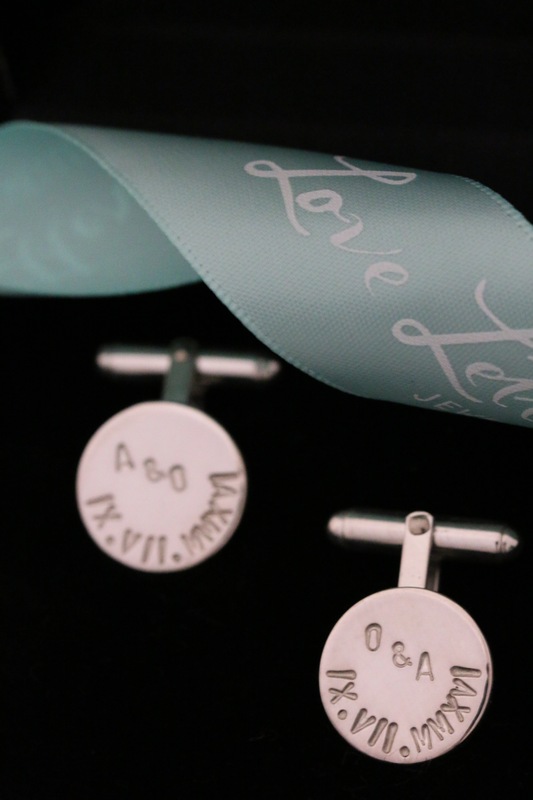 I have an exclusive range of gorgeous co-ordinating earrings and rings to compliment your Love Letters hand stamped piece and will be continuing to extend this exclusive range in the future. All Love Letters pieces are all inclusive of delivery within Australia via Australia Post Express, Registered and Tracked Postage to your door. For International deliveries, please contact me for more information. I hope that you are delighted with the unique Love Letters Jewellery piece you have selected and wear it with love, I thank you for your purchase. I proudly stand by my products. I am very passionate about and take great pride in my work and only source the highest quality jewellery and silver components for my range. I am constantly striving to improve my products, packaging, and service, and will always welcome your feedback. I hope that you are delighted with the unique Love Letters Jewellery piece you have selected and wear it with love, I thank you for your purchase. I am very passionate about and take great pride in my work and products and only source the highest quality jewellery and silver components for my range. I am constantly striving to improve my products, packaging and service and will always welcome your feedback. While I standby my products from time to time something may go wrong. Please be in touch with me if you have any questions or concerns about my products. If you have inadvertently damaged your jewellery and require repairs in Adelaide, I have partnered with James Thredgold Jewellers for any repairs not covered by my personal warranty. James has two stores located in Norwood and Burnside Village. For repairs outside of Adelaide, please refer to your local reputable manufacturing jeweller.